With just over 1,000 days left until the Millennium Development Goals (MDG) 2015 target date, the United Nations Development Program and its partners from across the world gathered in Colombia last week to share experiences and continue the momentum towards achieving the MDG’s. As part of its Comprehensive Aid Policy Framework to 2015-16 (CAPF), Australia released the first Annual Review of Aid Effectiveness (ARAE) in December 2012. This new framework also sought to assess its achievements over a three tiered process – reporting on progress towards the MDGs, articulating the contribution of Australian aid to outcomes, and measuring operational and organisational effectiveness. As a major economic power in the Australasia region and one of the 189 countries who agreed to the 8 MDG goals, Australia’s program for aid is tuned to five major strategic goals. These are saving lives, promoting opportunities for all, sustainable economic development, effective governance, and humanitarian disaster preparedness and responses. Through these five strategies, AusAID also addresses the MDGs. Its self-proclaimed flagship strategy ‘promoting opportunities for all’ is aimed at achieving universal primary education (MDG target 2a). At first glance the global progress towards achievement of the MDGs, particularly in relation to education, seems positive. Global completion rates for primary education rose from 81% to 90% between 1999 and 20102. The youth literacy rate grew from 84% to 90% globally over the same period. However, it is estimated that 61 million children of primary school age are out of school globally2, 20 million of which are in the Asia-pacific region3. Retention and completion rates of elementary education are a major factor in the Asia-pacific region, with approximately 86% of students in Indonesia, and approximately 76% of students in the Philippines reaching grade 64. The MDG approach has received criticism from Indigenous Peoples’ groups, who have expressed concern about the absence of indigenous experience in discussions about poverty reduction processes5, despite the fact that Indigenous People make up 15% of the world’s poor whilst only accounting for 5% of the world’s population , and one third of the world’s 900 million rural people who are extremely poor6. The UN Permanent Forum on Indigenous Issues criticised the lack of specific monitoring of progress in relation to Indigenous Peoples, the preference given to monetary income s over the informal subsistence economies which fulfil the basic needs of indigenous peoples and the lack of consideration of the indigenous way of life as alternative to the mainstream ‘not only in the economic sense, but also as the underpinnings for social solidarity and cultural identity’7. Examining access to quality education and health care (goals 4 – 6), Indigenous People also represent a disproportionate sector of young people who have not completed elementary education. In Guatemala, 53.5% of indigenous youth have not completed primary education, compared to 32.2% of non-indigenous youth8. Comparable figures for the Asia-pacific region are lacking from the MDG reports, despite estimates that 70% of the world’s indigenous peoples are in the Asia-pacific region9. Statistics gathered in 2004 by the EED-TFIP Network show that in the Philippines only 53% of indigenous adolescents have completed primary education10, compared to the national average of 95%11. In response the 2008 the UNDP published guidelines which aimed to mainstream Indigenous People’s issues, including a framework for a human rights based and culturally sensitive approach to development12. The UNDP’s MDG website also describes the efforts made to address tenurial security of indigenous people’s communities in the Philippines as part of its strategy to reduce poverty13. In its Thematic Strategy for Opportunities for All 2011 (TS), AusAID states that ‘education makes a significant difference to improving equity, health, empowering women, governance and sustainable development’14. Indeed, as part of the CAPF policy Australia has sought to set standards for aid predictability, transparency and accountability15, while increasing its budget from 4.8 billion to 7.7 billion during the period 2011-12 to 2014-1516. However, while both the CAPF and TS documents allude to incidence of poverty among indigenous people, there is no direct acknowledgement or commitment to an approach which seeks to either directly address or monitor the indigenous experience in relation to AusAID poverty reduction strategies. (focussed on the Autonomous region of Muslim Mindanao – ARMM), and the Philippine response to Indigenous and Muslim Education (PRIME). BEAM has supported 221 schools in Mindanao to introduce Kindergarten curriculum with Islamic values, and 25 Madaris schools to introduce peace education modules in conflict affected areas of Mindanao, while PRIME is aimed at improving access to quality education in regions with the lowest education indicators1. Unfortunately the most up to date MDG reports show enrolment and attendance rates continue to be lowest among rural, poor and conflict affected areas2. Despite high figures for enrolment in ARMM (99.9% 17), Mindanao has the lowest figures for continued attendance (cohort survival rate) of elementary school within the country, with the lowest in ARMM at 40.8%, followed by regions 9, 11 and 1217. It is unsurprising then, that ARAE, while receiving praise as a signal of AusAID’s commitment to be more accountable and transparent, has also been critiqued for its failure to provide critical and detailed information about AusAID’s operational and organisational effectiveness, both at country and program levels3.The information provided is at highly aggregated levels and gives no breadth to the importance of qualitative efforts to building the capacity of partners to deliver qualitative results and improvements. Even AusAID’s Annual Review, released in October last year, while providing more of a breakdown in regards to country and sector initiatives, includes no mention or monitoring of the impact on different sectors of the population, such as Indigenous Peoples. 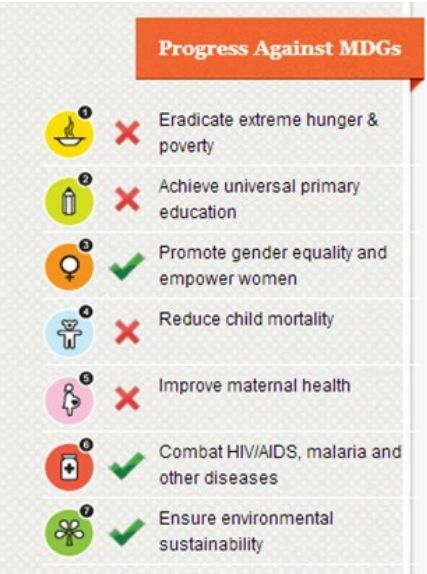 The Philippines are unlikely to achieve all of the MDGs by the 2015 target date, especially with regards to education. While data is undoubtedly difficult to obtain regarding the impact on indigenous peoples18, Australia’s top 20 recipients of aid all have high indigenous populations who live predominantly in the regions where there is the highest incidence of poverty and lowest levels of educational availability and attainment. This should make the monitoring of the indigenous experience worthy of note in the annual reports. Looking forward, the challenge for the AusAID programs beyond the 2014 -15 period is understanding the relationship between poverty reduction strategies and strategies aimed at responding to the rights of indigenous peoples, particularly in regards to education. 2 AusAID 2011-2012 Annual Review of Aid Effectiveness, December 2012, registration number 2012-05. 5 Health of Indigenous People’s Regional Program (2009) Millennium Development Goals Conceptual Framework: an Indigenous People’s Perspective. World Health Organisation.